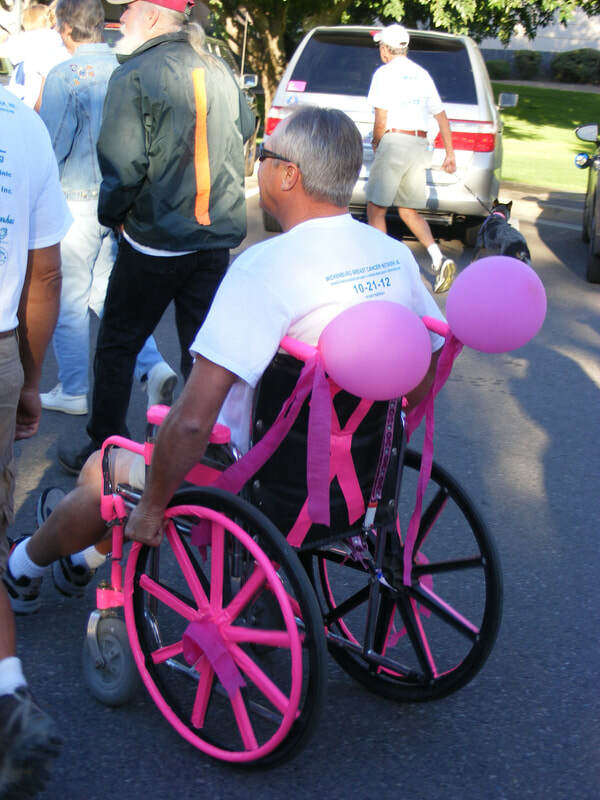 Events - Wickenburg Breast Cancer Network, Inc.
year’s Walk to Boot Breast Cancer. 7:00 AM Check-in, Team Photos under balloon arch (more about teams here). All participants are encouraged to complete the route by passing under the arch at Ortega Park, where they will be cheered by local cheerleaders and provided with a breakfast bar. Police will provide assistance along the route and there are water stations and porta-potties available. Leashed dogs are welcome on the walk; please use poop bags as needed. ​Team Leaders will receive their team's T-shirts to distribute. Individuals may pick up their shirts at the walk. Use the PayPal link below. Be sure to indicate your Team Name and T-shirt Size if applicable. I am a voluntary participant in the October 20, 2019 walk sponsored by WICKENBURG BREAST CANCER NETWORK, INC. I am in good physical condition. I know that this event is a potentially hazardous activity and hereby assume full responsibility for any injury or accident which may occur during my participation in this event or while I am on the premises of this event. I hereby release and hold harmless and covenant not to sue the Town of Wickenburg, Wickenburg Breast Cancer Network, Inc. any affiliated individuals including those individuals organizing this event in Wickenburg, any race sponsors and their agents, and employees and all other persons or entities associated with this event (the Releasees) from any loss, liability, or claims I may have or which may arise from my participation in this event including personal injury, or damage suffered by me or others, whether same be caused by falls, contact with other participants and their animals, conditions of the course, negligence of the releasees or otherwise. Dogs must be leashed at all times. If you would like to add a tax-deductible donation, please click on the link below.